How many places can I go in 7 days?! Readyyyyyy, GO! That has been the challenge for the week. 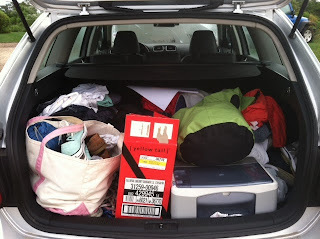 I left Nantucket at 9pm last Wednesday night and made a mad dash for HOME! 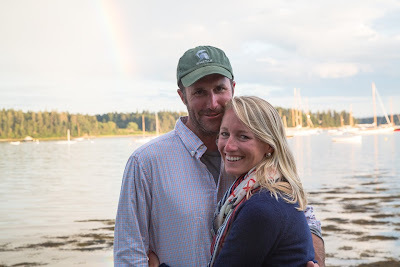 That's right, another 24 hour trip back home to Tiverton, Rhode Island, this time to help my friend Maaike photograph a wedding at the beautiful Ocean Cliff in Newport. I managed to squeeze in a quick lunch with my lovely friend Mary Ann, clean the house, use the new washer and dryer, photograph 3 hours of a wedding, and catch a quick glimpse and dinner with my parents who are staying at our house for the week!! The next morning I woke up at 3am and drove to Camden, Maine to watch Andrew and Spartan in the Eggemogin Reach Regatta. 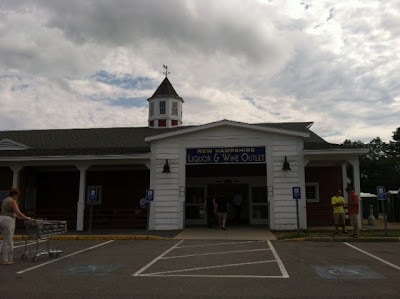 As I crossed the border into Maine, I couldn't help but notice their logo..."The Way Life Should Be". I've been to Maine a number of times and never really noticed that bold statement. It's funny how each state claims to be the best at this and that. 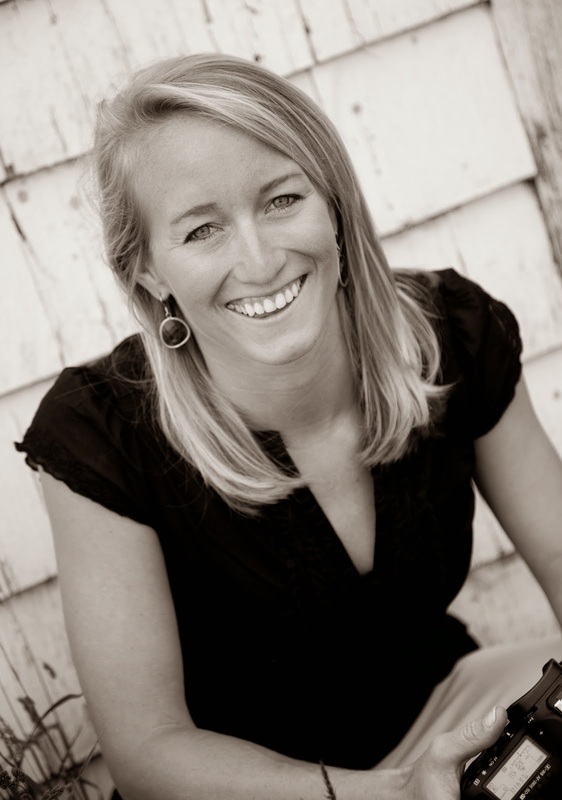 No offense Maine, but I only think of one thing that I can associate you with...COLLLLD. And lobster and antiques. And the phantom moose. 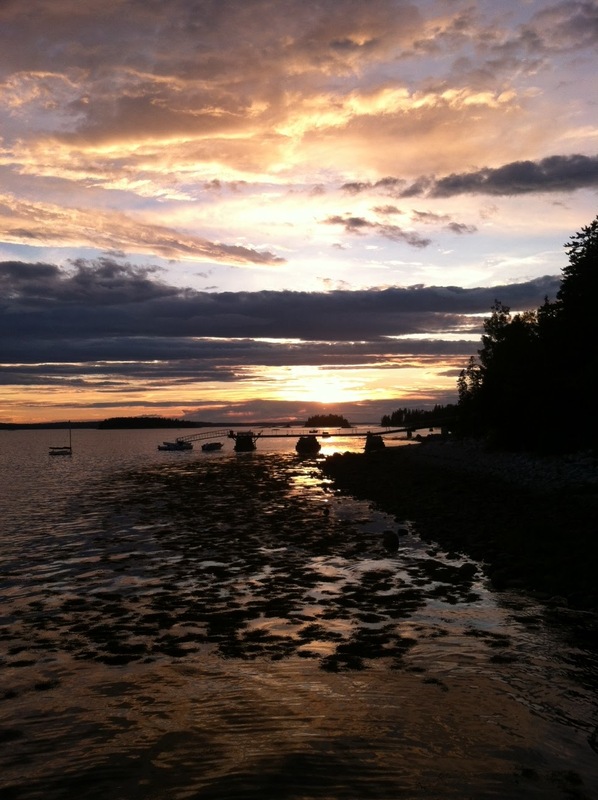 In reality though, Maine's waters, landscapes and wooden boats are truly stunning. I had the pleasure of spending the weekend racing with Spartan in the Eggemogin Reach Regatta. The regatta consists of 2 feeder races (Castine to Camden and Camden to Brooklin) and then the actual Eggemogin Reach Race. 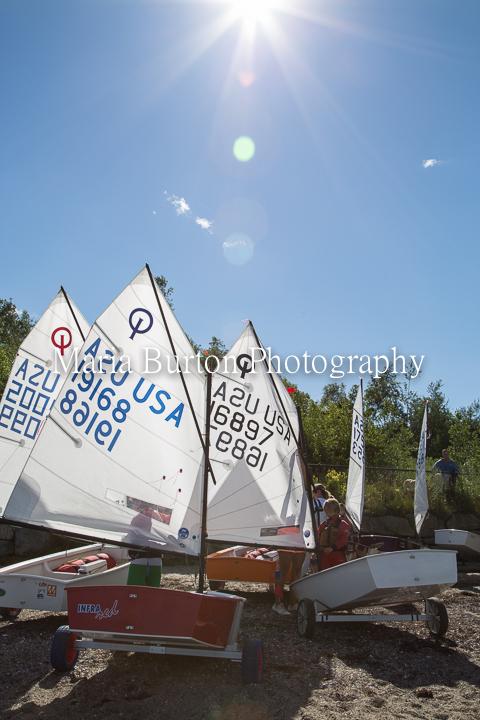 Andrew has raved about this regatta ever since I met him 3 summers ago. I kept wondering why it was so special, but of all years, this was the year to support Andrew in his last season and Spartan in her 100th year! 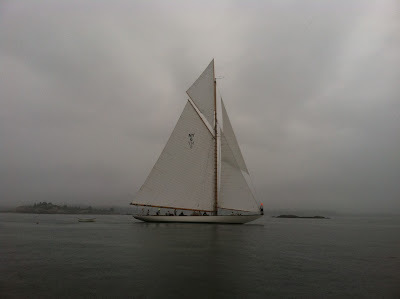 So I spent the weekend photographing such a humbling scene of wooden classic yachts sailing on the pristine Maine waters with islands and clouds scattered like polka dots. 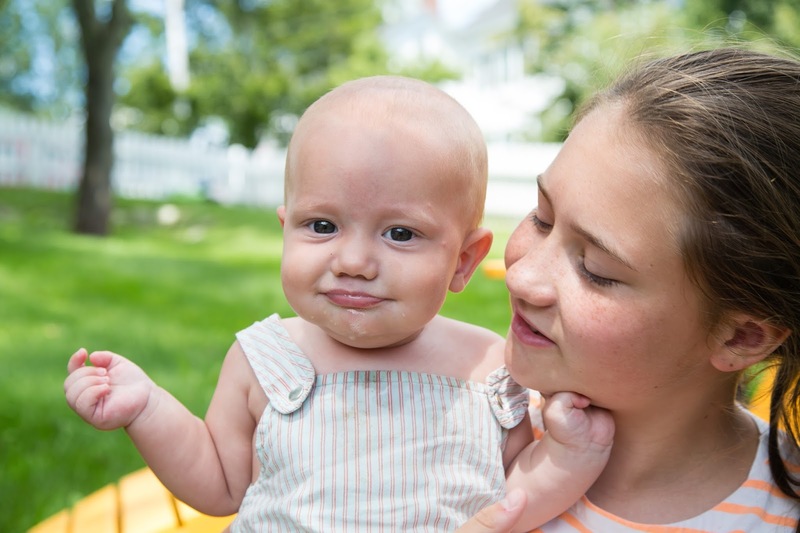 Despite the first day of rain, the weekend was beautiful and the experience unforgettable. So then I drove Monday morning at 6am to Nobleboro, Maine. I took a quick shower at our friend's house, put on fresh clothes, and drove over to Portland Maine. 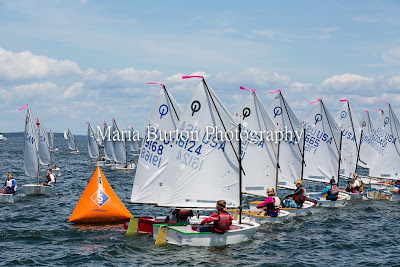 I spent 4 days photographing the New England Opti Championship hosted by Sail Maine. 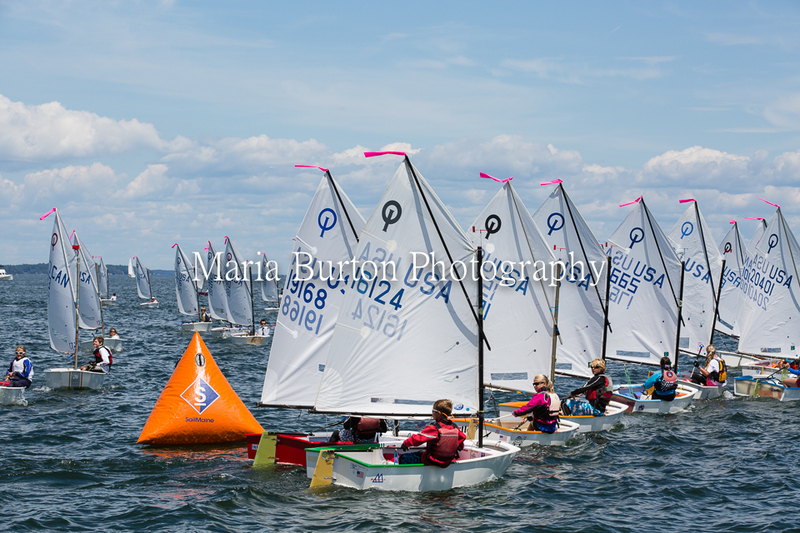 With 310 sailors at the regatta, I kept VERY busy taking pictures!! I managed to squeeze in a short hour of sightseeing in downtown Portland, a lobster roll at the Portland Lobster Co. with an old friend from Richmond who just happened to marry the brother of the girl who hosted me (this small crazy world is always getting smaller), and a quick look at the LL Bean giant bean boot. Why doesn't every state have a liquor outlet? !